Dry shampoo is a warm weather staple, a must-have if you travel, and a lifesaver in all the worst hair situations. Ever since I wrote How Often Should You Wash Your Hair?, I’ve received tons of emails and some comments wanting dry shampoo recommendations. Over the past few months, I’ve been on a quest to test them all out, and have finally decided on my top 5 favorite dry shampoos ever. For those of you who don’t know, dry shampoo is a powder, usually in a spray can, that absorbs oil in your hair and leaves a fresh scent. It gets rid of greasy “second day” hair, adds volume, and makes hair look and smell fresh and clean, minus the need for water. 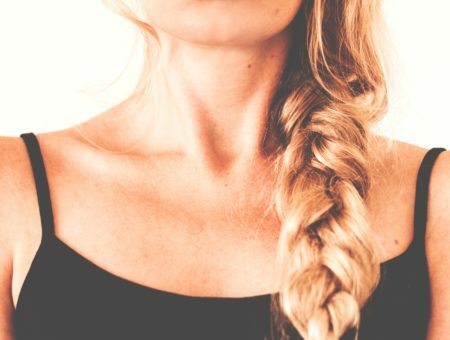 There are a so many reasons why dry shampoo is amazing. Second, it’s perfect if you have damaged hair that you don’t want to shampoo every day. Daily shampooing, blow drying, and styling can stress your hair even more, causing extra damage and breakage. By shampooing only 3-4 times a week and using dry shampoo in between washings, your hair will be less damaged and prone to breakage. Third, it’s perfect if you travel or just wake up late and need to get ready fast. A quick spray and your hair will be good to go, no shower necessary. Don’t let the old school packaging fool you – this stuff is as good now as it probably was in the ’80s when they designed the label. Batiste Dry Shampoo comes in a bunch of scents, but I only tried Original and “Blush”. Original smells clean, lemony, and a little bit chemically, but once it’s on your hair the scent disappears. Blush smells powdery and floral, but not too overpowering. At only $5.99/can (and available to buy in bulk on Amazon! ), Batiste is a budget-friendly dry shampoo that works well. You can buy Batiste Dry Shampoo for $5.99 at Amazon. I’m in LOVE with the lemony scent of this product! It’s definitely pricey, at $11 for a tiny bottle, but pricey is what you have to expect with Oscar Blandi. As far as results go, this worked just as well as the cheaper brands at eliminating oil and leaving hair looking fresh. If you only plan to use dry shampoo once in a while and want to splurge on something that smells amazing, you have to try Oscar Blandi. 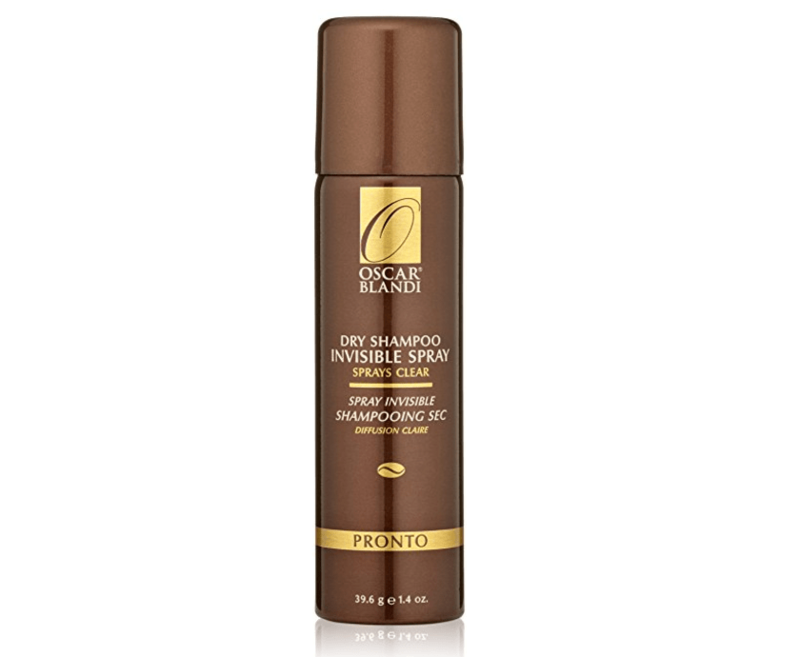 You can buy Oscar Blandi Pronto Dry Shampoo for $11 at Amazon. 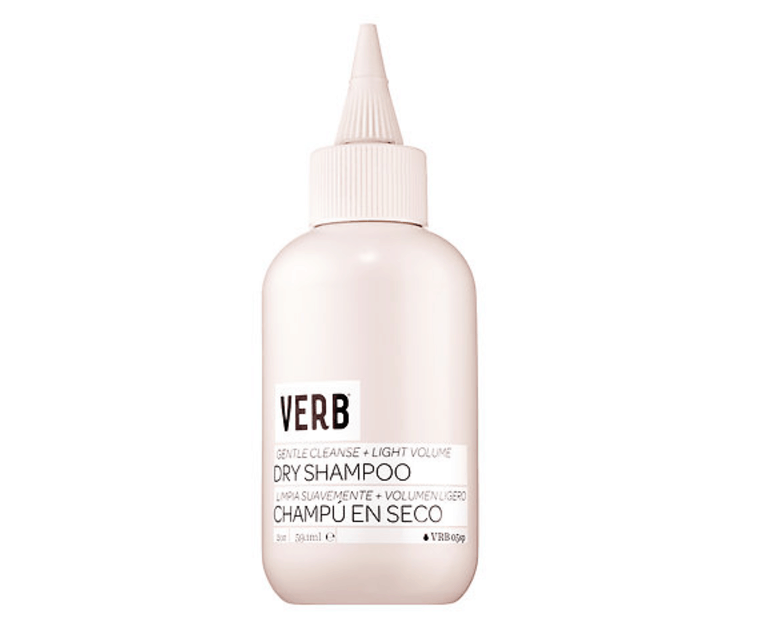 If you want your vanity (or sink, or desk, or dresser, or wherever you keep your products) to look extra chic, just add a bottle of VERB Dry Shampoo. 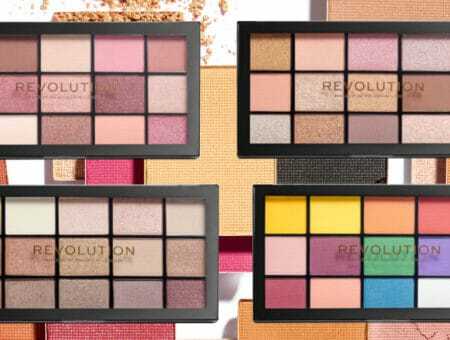 The packaging is so stylish and the pointed tip makes it easy to apply. As a bonus, this stuff works great, and doesn’t leave a whitish cast on hair if your strands are darker! Although it’s not really economical at $16/bottle, if you’ve got the funds, we highly recommend it. If you don’t want to shell out the money for any of the products above, and want to use something you might have around the house, you can use baby powder instead. Just sprinkle some baby powder on your roots, turn your head upside down, and brush it out, and your hair will look and smell nice and fresh. 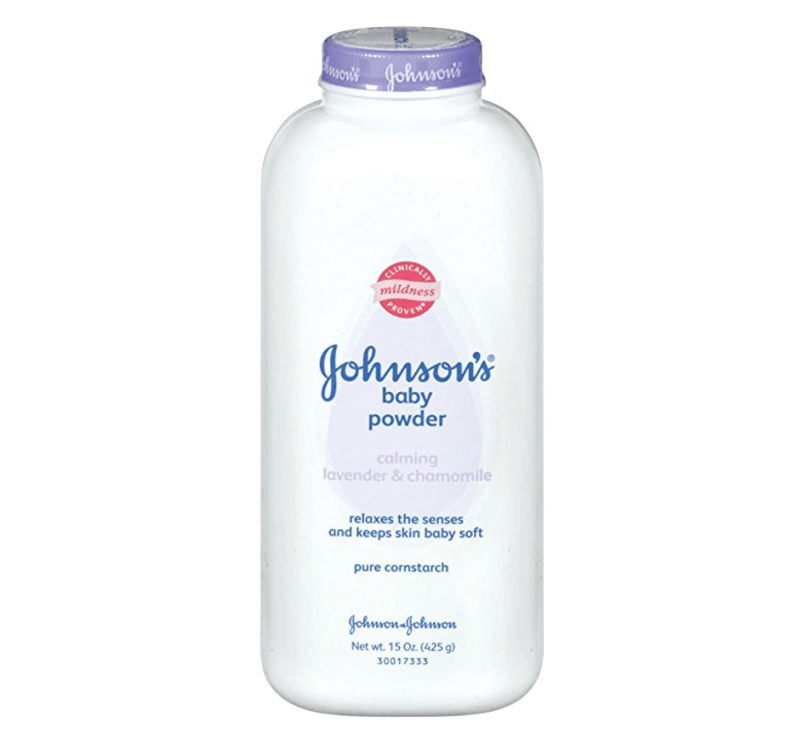 As a bonus, baby powder comes in huge containers that last FOREVER. If you don’t want to smell like baby powder, I highly recommend the Calming Lavender scented powder available on Amazon which smells lovely and works just as well as regular. You can buy Calming Lavender Scent baby powder for $9.99 on Amazon. Klorane Dry Shampoo is my favorite of all the ones I’ve tried. It’s definitely pricey and can be hard to find in stores, but it’s worth it for the scent, the fact that it’s natural, and how well it works. It makes hair look clean and fresh, but doesn’t build up or make hair look dull the way other dry shampoos can. 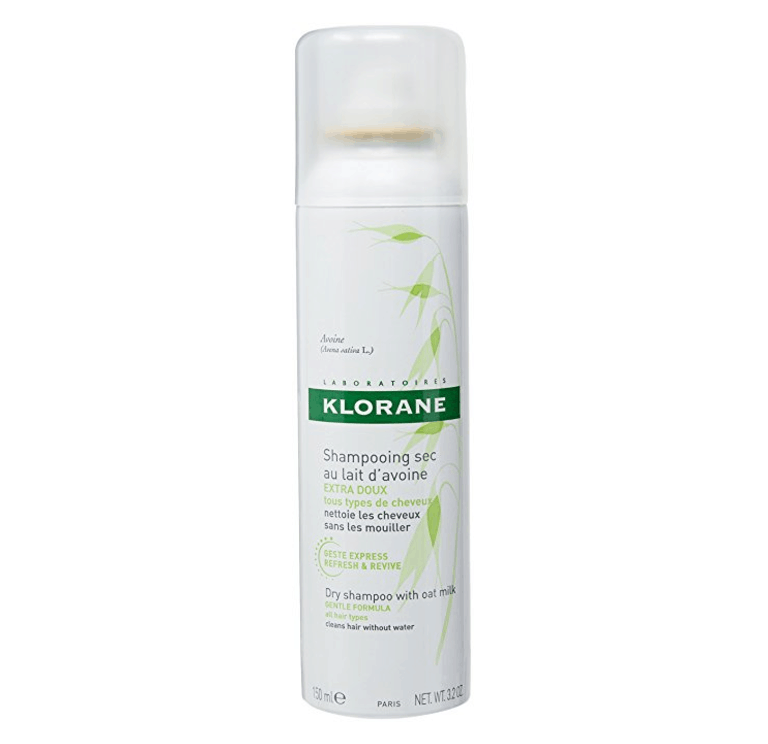 Klorane is also great because it’s natural and contains fewer toxic ingredients than other products on the market. It’s also perfect for darker hair, as it doesn’t leave any white residue. Highly recommended! You can buy Klorane Gentle Dry Shampoo for $20 on Amazon. You’ve seen my favorite dry shampoos, now I want to hear your recommendations. 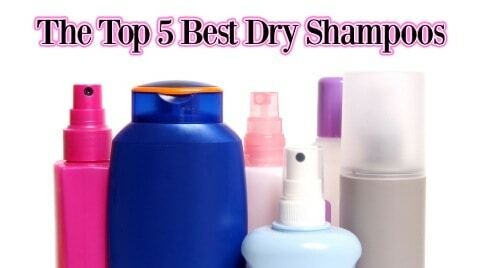 Do you use dry shampoo? If so, let me know which one is your favorite in the comments section! Editor’s note: This post was originally published in 2009; it was completely revamped in 2017 to reflect our current favorite products.